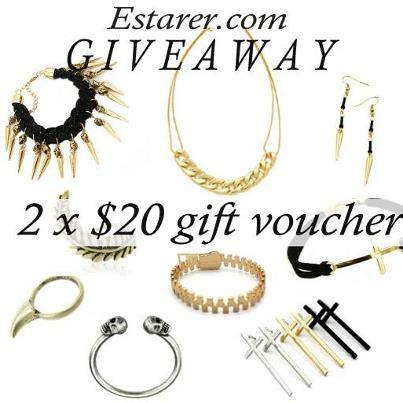 2.Like Estarer Facebook page http://www.facebook.com/estarer and share this give away post. what are you waiting for? let's try to win :D the giveaway end the 24th Oct , good luck to somebody!! :D .
Amazing jewellery!! good luck to everybody!! Ma che carini questi gioielli! Amazing prices! goodluck to everyone! Siamo venuti per augurarvi un grande giorno. great giveaway and fabulous items! ti seguo ovunque e sono registrata al sito, sono Gloria Tea! Yay all done :) and now finger crossed!